Austin has long been known for the Sixth Street entertainment district but the separation between East Sixth and West Sixth has been growing quickly over the past couple years. West Sixth Street has grown into it's own, more sophisticated, entertainment district with more upscale bars and clubs, restaurants and even lavish condos. Austin nightlife at it's finest. Bars on West Sixth Street in Austin are not only growing in number but also in popularity with some of them having lines wrapped around the block early in the night. Quickly becoming one of the most popular bars on West Sixth Street in Austin, POP opened in the summer of 2014. The upscale champagne lounge is the new hot spot on the weekends. The late night partying those is not the only thing POP serves up. Be sure to also check out their Sunday Brunch! Whether you are looking for some of the biggest DJs to take the stage or the sexiest day time party, RIO has you covered. 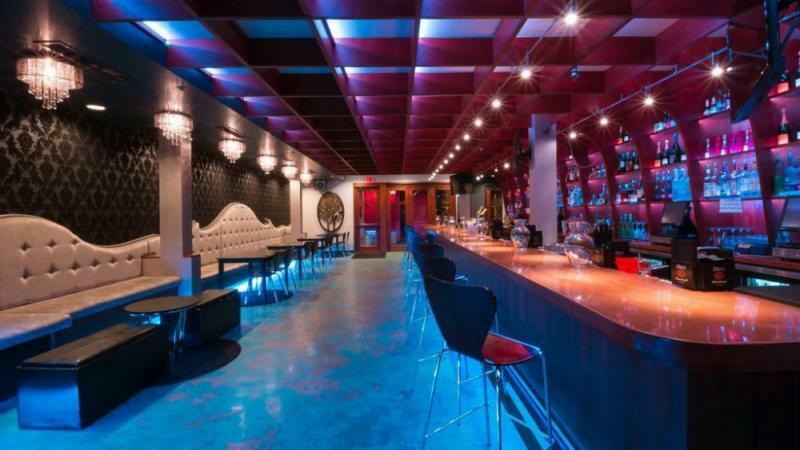 The multi-level night club and day club feature some of the best VIP service in Austin as they cater to some high profile Austinites. Another 3 letter named bar that is actually located next door to POP and around the corner from RIO, LUX is another example of a well designed establishment. Although small, it takes full advantage of the long bar, VIP tables and dance floor. Perfect atmosphere for the afterwork cocktail or the late night shot or bottle of champagne. You can't have an entertainment district in Texas without a Country themed bar and night club. The Ranch is just that with a twist that takes it on a whole new level! Strong drinks, an outdoor patio, and games on the big screen are just a few things to love at The Ranch. Stop on in and see for yourself. An upscale restaurant and rooftop lounge bar on West Sixth Street featuring weekly specials and a popular Sunday Brunch Buffet. Enjoy the evening with a view of people watching along the block. The Dogwood is a "homegrown" concept with a small touch of southern hospitality. The patio has a large stage perfect for live music and to enjoy the outdoor nights in Austin. Be sure to check out all the bars on Sixth Street in Austin and enjoy both the East and West sides of Sixth!